Good to hear from you again. I was begining to worry. 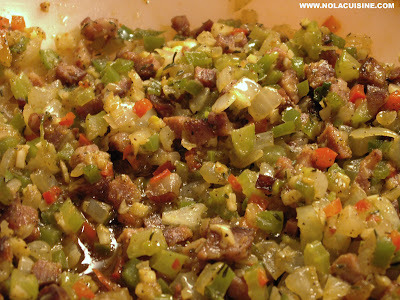 The stuffing looks great and I have actually made your andouille so this should not be too difficult. Good to see you posting again Danno – You were missed! Zack & Tom, great to hear from you both, I’ve been very busy with work lately, but I love this site, need to start making time to post more often. I haven’t stopped cooking, just slowed on the process of taking pics, editing them, testing the recipes etc.. I don’t want to post just anything for the sake of posting. I always choose quality as opposed to quantity. More to come in the coming months, I promise. I love to hear that you’re watching for more though, I really, really appreciate that! Try this trick. 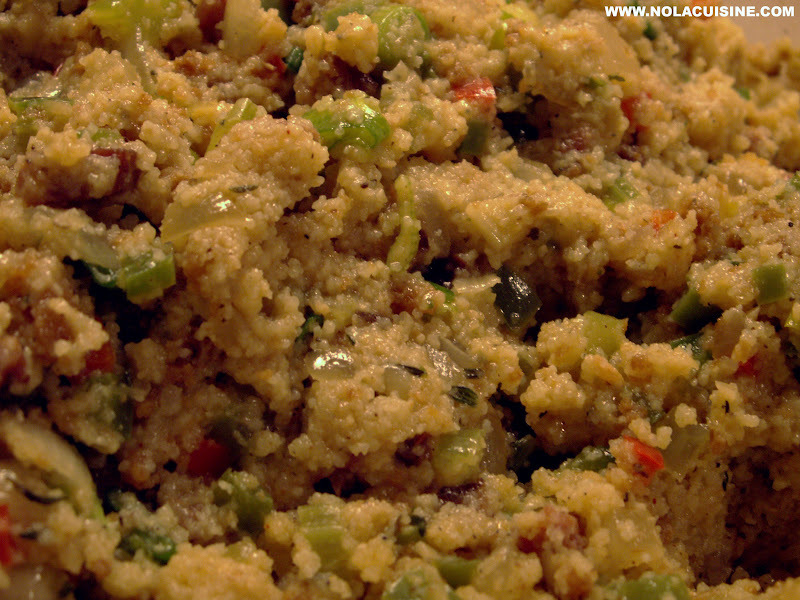 I do for my cornbread dressing. Simmer some diced tasso in the chicken stock for 30 minutes. Then use the stock to wet the dressing….killer. The smoky, porky richness is nice. I picked up this tip from famed New Orleans cook Frank Davis. Great tip I will definitely try that out, good old Frank Davis! Hey! Where’s the recent stuff? I just found this page and it’s breaking my heart that there are no recent posts. Did I find you too late? Thanks for this site. I love reading and looking at your pictures. I know what you mean about the time it takes to get a blog post as I’ve tried it, but it just takes way too much time. Thanks for all your recipes. Lived in New Orleans for 26 years and am now stuck in the upper midwest. 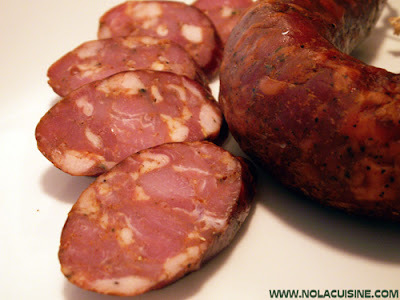 Got my tasso and andouille made a couple weeks ago. Your stuffing will be featured Thanksgiving day. Yum . . .